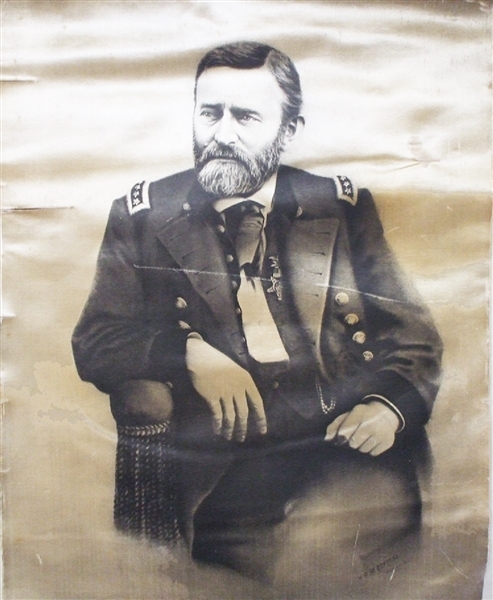 Large Format Silk Printing, 14” x 18”, of a seated Ulysses S. Grant in full uniform. It is ID’d in the print asH.W. Berthrong, 1885. This is only one of these we have seen. Print is dark, the item does have fabric split of 5” horizontal in the image.